The Royal Agricultural University (RAU) has announced two new appointments to its senior academic leadership team. 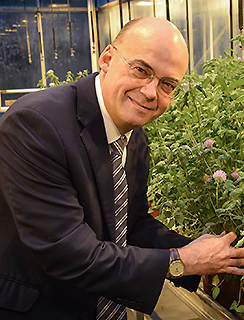 Professor Mike Gooding will join the University in April as Head of School for Agriculture, Food and the Environment. In March Professor Neil Ravenscroft will become Head of School for Real Estate and Land Management. 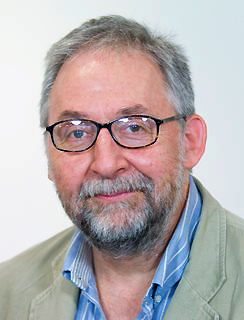 Mike Gooding is currently Professor of Crop Science at Aberystwyth University where he has been Director of the Institute of Biological, Environmental and Rural Sciences (IBERS). He returns to the RAU where he began his academic career teaching grassland and crop science in the early 1990s. Our students will increasingly need to manage combined and fast-moving objectives if they want to be become leaders in agri-tech industries. They’ll be making strategic judgements such as balancing yield with quality, sustainability with intensification and heritage with innovation. These are my long-term research interests, so I’m looking forward to helping students and the relevant commercial sectors in rapidly changing times. Neil Ravenscroft is currently Director of the Brighton Doctoral College and Professor of Land Economy, at the University of Brighton. He specialises in people-environment relationships associated with farming, forestry and water resources. The RAU has long occupied a leading role in the fields of real estate and land management. It is uniquely placed to provide the educational and professional development required to meet our emerging economic and policy challenges. I’m honoured and excited to be joining the University at this time and working with colleagues to keep our courses and students connected and relevant to the industries they support. Dr Andrew Hemmings, Head of School for Equine Management and Science and Dr David Bozward, Head of School for Business and Enterprise, took up these posts in October last year. I am delighted to welcome Mike and Neil to the new academic leadership team. Their appointments will ensure that we can deliver a programme of transformational academic change at the RAU that will enable us to respond to the needs of industry and enhance the experience of our students. Uncertain times bring opportunities, and it is exciting for us to have been able to recruit two highly respected academics to work alongside other recently appointed professors and Heads of School all of whom share our values and are willing to embrace the changes necessary for the success of the country, the RAU, and its graduates.